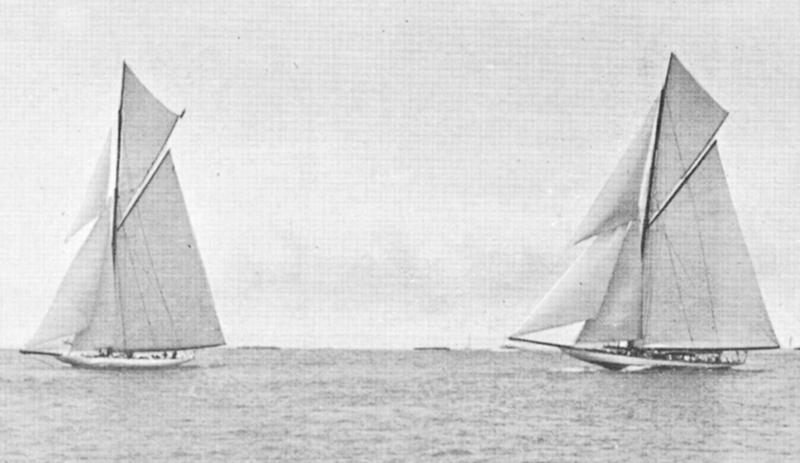 Shamrock and Reliance in a photo captioned 'First race for the America's Cup'. It appeared in a supplement to Yachting World, Sept 3, 1903, and was taken by The Pictorial News Co of New York. August 20th: first race off or August 22nd: Reliance wins the first race.